The University of the Philippines Manila will celebrate its 25th UP Manila Day and its 40th Anniversary of the Health Sciences Center Autonomy on the last week of October 2018. Guidelines: Per CCDP Memo No. 2018-154 (see attached document), the criteria for the categories still have to be finalized by 6 September 2018. However, since the deadline is on Sept. 14, the Committee suggests preparing the requirements using the 2017 Guidelines (attached below as well). 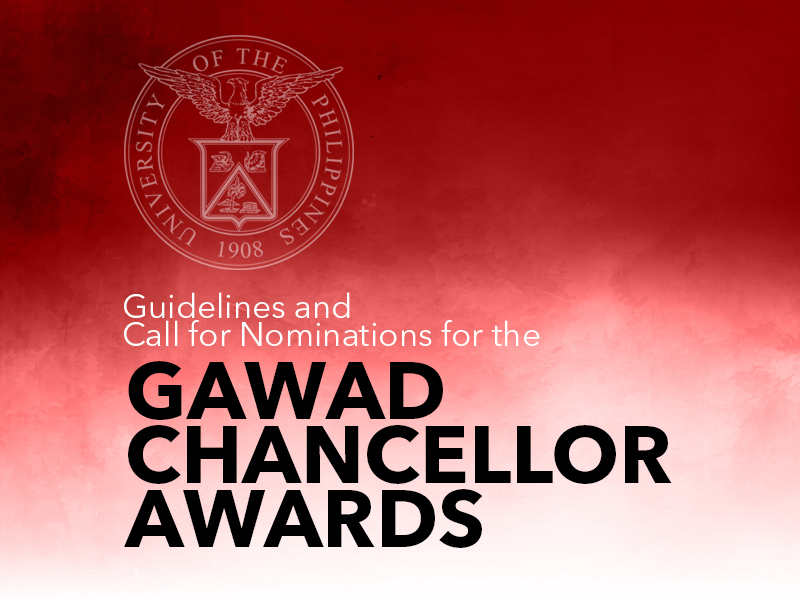 This way, there will be less time to cram for the nominees as they can just add/lessen from the documents they have once the finalized Guidelines are out.